City, with the League Cup already in the bag, are chasing an unprecedented clean sweep, with the Premier League, Champions League, and FA Cup also in their sights. The city plays an out-of-sorts Tottenham in the Champions League quarter-finals next week and Brighton in the FA Cup semi-finals on Saturday. 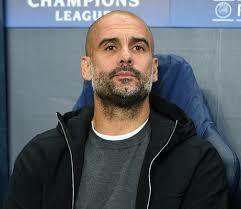 “There are no complaints about our mentality, what happened last season and this season again,” said Guardiola. “The players are not stupid, about the fact we’re trying something so difficult to achieve.